A similar wood stove improved energy savings and home comfort for Eden resident Stephen Payne had a new Quadra Fire pellet stove installed in his home this month thanks in part to a grant from the Maryland Energy Administration’s Clean Burning Wood Stove Grant Program. The grant program gave Mr. Payne $700 to help offset the cost of replacing his inefficient wood burning stove with a cleaner burning, more efficient model. He said that “the new pellet stove has been a life saver,” improving his quality of life and saving money. In addition to helping homeowners purchase a cleaner and more efficient means to heat their homes, the grant program has had a beneficial effect on Maryland businesses. Suzanne Turner of Survival Products Inc., a stove retailer and installer in Salisbury, said that the grant program has definitely helped out her business. When she heard about the grant program that MEA was planning with clean burning stoves she had her company jump on the opportunity. “We are all about green heat,” Ms. Turner said. When customers bought qualifying stoves, the employees of Survival Products would help them fill out the application, assist with getting permits, and take the pictures needed in order to qualify for the grant. “It’s a great program,” Ms. Turner added. With the grant from MEA as well as manufacturer incentives some of her customers were able to save up to $1,000. As a customer of Survival Produce, Inc., Mr. Payne dropped by the store to check out the new, efficient wood stoves that a few of his friends had recently purchased. When he was informed of the $700 rebate available, he was definitively swayed. “It was a deciding factor, especially since the without the incentive the purchase would have been a stretch,” he commented. Although the stove has been recently installed, he said that it has made an instantaneous difference in his home comfort level. Mr. Payne uses a wheelchair and it is much more accessible to put wood in the new pellet stove. The new stove has also improved the heating efficiency of his older home. Before the stove was installed he used to go through almost 200 gallons of propane each month as well as the fuel for his wood stove. Purchasing a cleaner burning stove has also improved the indoor air quality in his home. 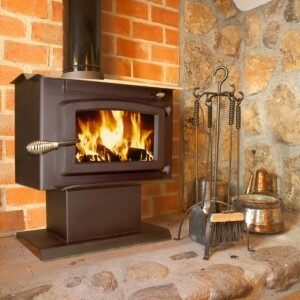 The Clean Burning Wood Stove Grant Program offers two types of incentives. A $5400 grant is given for stick burning stoves while $700 is awarded for pellet burning stoves. The grant program has $50,000 to award to qualified applicants and is distributed on a first come first served basis.